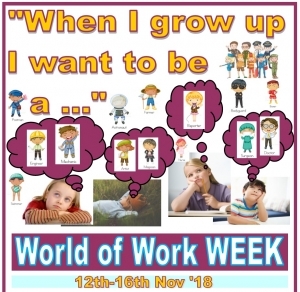 Pupils start the week with a "When I grow up I want to be a ......" by coming to school dressed up in their chosen career. KS2 pupils can apply for positions in the school by submitting their application to Mrs Langley / Mrs Hughes by 9:00am on Monday 12th November 2018. Take over the school day will take place on Friday 16th November 2018.